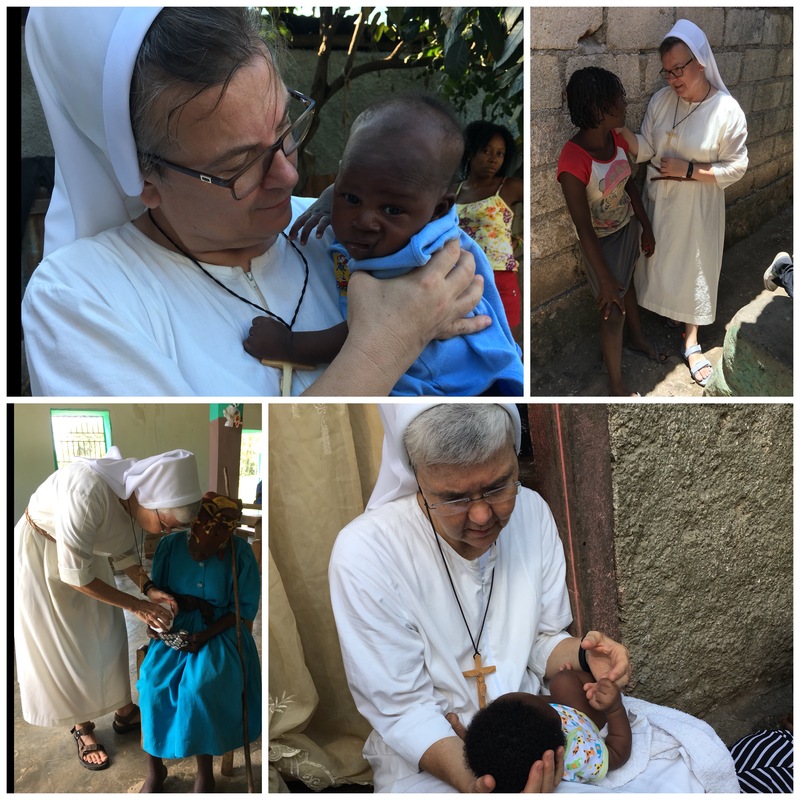 On Monday, September 25, we were returning after 5 p.m. from the airport at Port au Prince. When we pulled into the property, we saw a group of kids gathered. 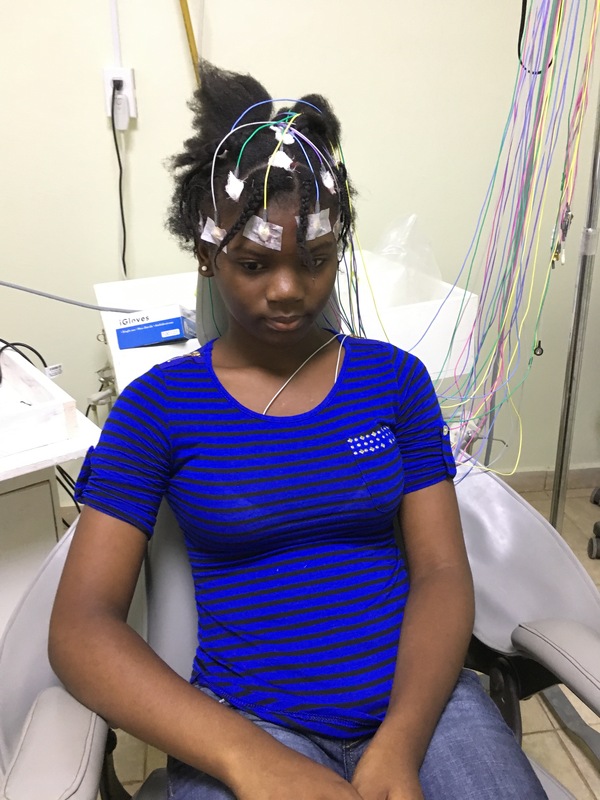 Fabiola, a 13-year-old, had passed out. This has happened to her before, and we had taken her to the hospital. This was a bit different because it looked as though she was having a seizure of some sort. We took her again to the hospital. This is always an interesting adventure, since you need to find your own gurney and then push it into the emergency room. Then you have to look for the doctor yourself. They seem to know us there, so they responded to us immediately. Then we needed to go and buy the necessary medications, so we went to the hospital pharmacy; but they did not have everything that was prescribed. 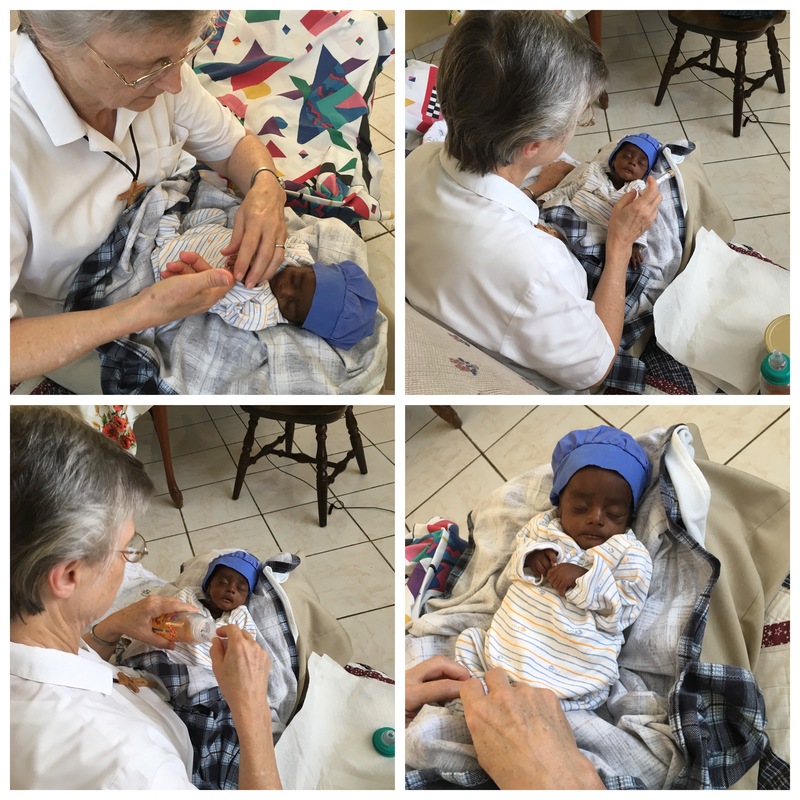 Sr. Marilyn then went to the streets to check other pharmacies. 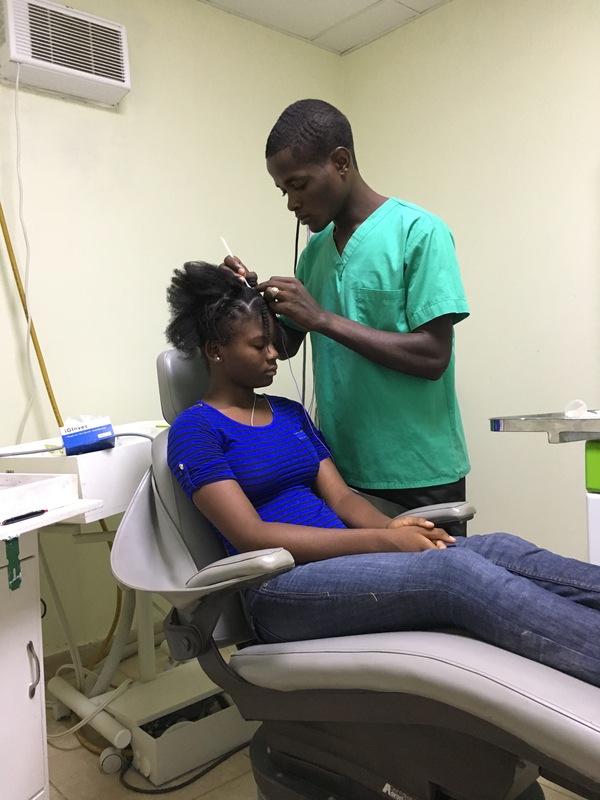 It was suggested that Fabiola see a neurologist. At first, we wondered how can this happen, but then they showed us a paper with a doctor’s name. He has hours at a clinic on Wednesday’s and he would do some tests needed. On Wednesday morning, September 27, we took Fabiola and her mother to the clinic. The clinic was next to the orphanage where little Rosamita is living. Remember her? We got Fabiola registered. Thank God we have been networking, because we knew one of the doctors who knows the Mother Angela Clinic and our work. The neurologist was also familiar with our clinic. What a blessing for us! We learn more and more how the ministry of presence calls us to serve where needed. Fabiola is now on medication and will return next month to monitor the medication and to be tested again. We thank God that this way was shown to us. On Friday, September 15, feast of the Sorrowful Mother, a young 17-year-old mother came to our door with her malnourished, pre-mature baby son. 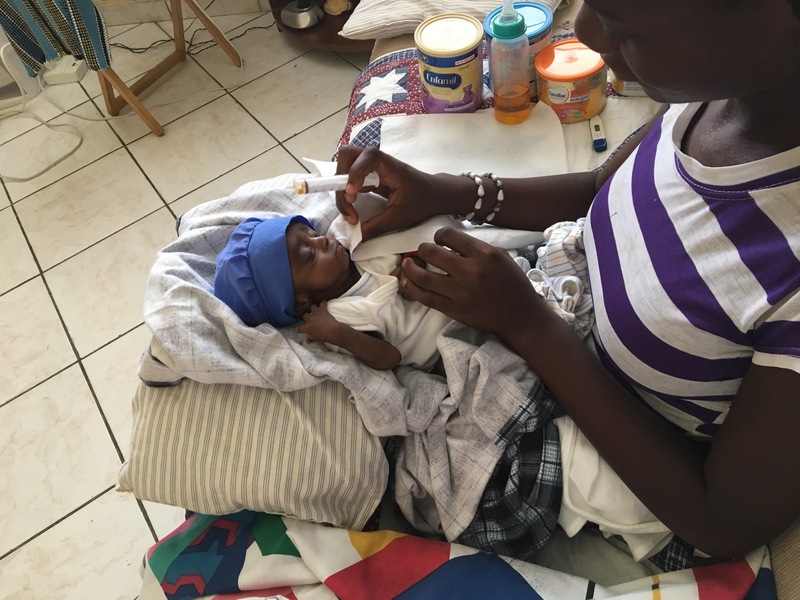 He was born after seven months and now, at two months old, he was fighting for his life. 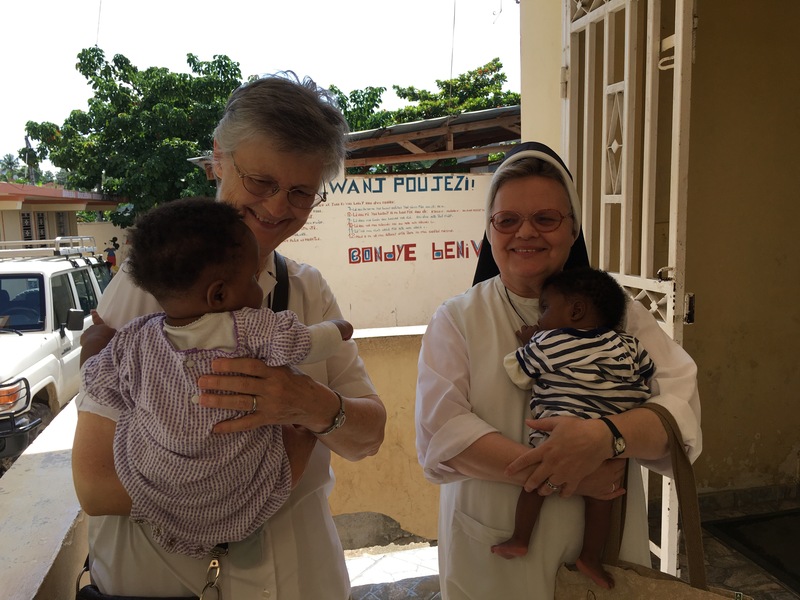 Sr. Danat, had worked in a maternity ward years ago as a nurse, and her skills came back swiftly. Thanks be God she was with us and that our clinic doctor was here working in the pharmacy. 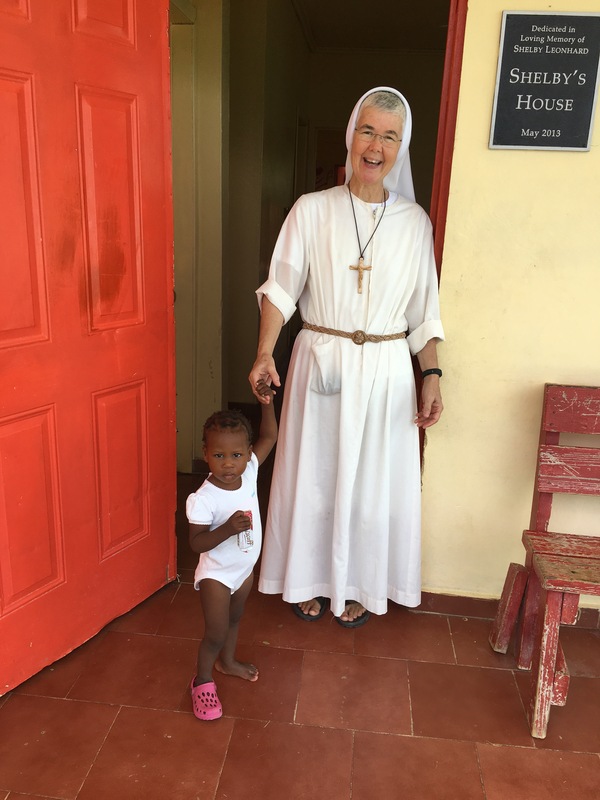 It was suggested that we bring the mother and child to the Missionaries of Charity here in Jacmel or to the hospital. We decided to go to the Sisters, and they took them right away. The Mother will be staying with her baby until he gets strength. “Every day will I bless you, and I will praise your name forever and ever. Great is the Lord and highly to be praised; his greatness is unsearchable. We believe this scripture has been fulfilled in our living here in Haiti, especially in Jacmel. 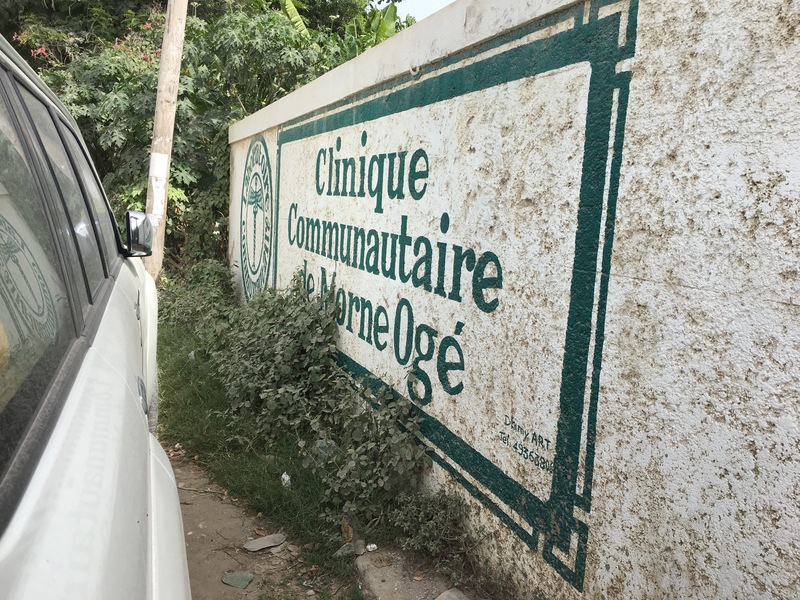 Our humble journey began in Port au Prince, where we lived in the house of Yvon Kerizon. We lived for a few months in one room. 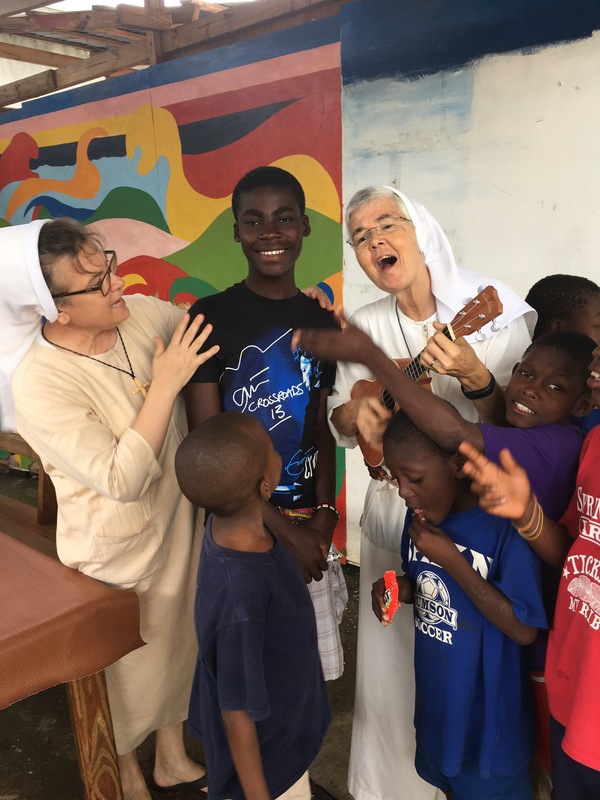 We were given many opportunities to meet with Bishops in different dioceses, to learn the language, and get to know the people and culture of our Haitian community. During these simple beginnings, we even experienced our first hurricane–Sandy. 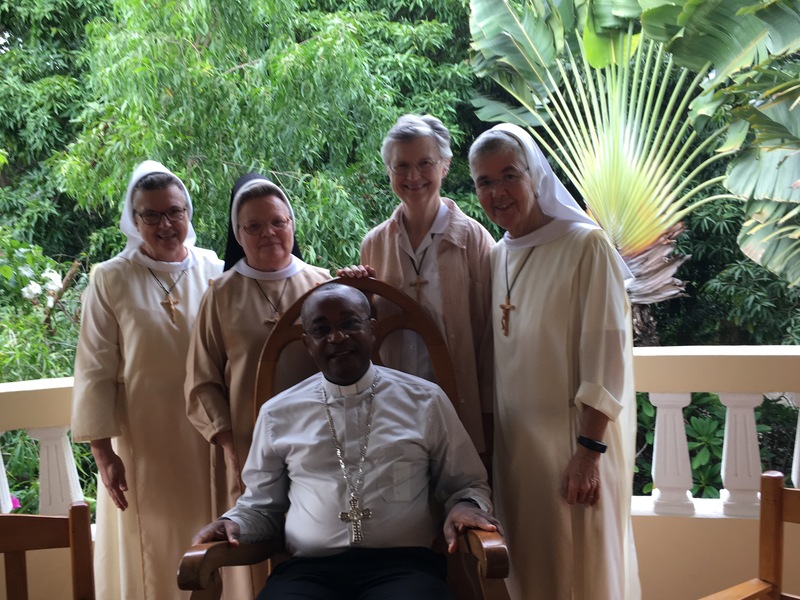 We were invited to Jacmel by Bishop Launay Saturne, who gave us the second floor of a school building to begin the ministry of presence in Jacmel. The Lord was waiting for us here as He already had plans of what was to come: The Mother Angela Kitchen, Mother Angela Mobile Clinic, English instruction, the Pay-it-Forward program, assisting kids and teens to go to school, teaching women to read and write, sponsoring the “Water with Blessing” project, starting a teen choir, visiting homes, and, of course, introducing our Faith Formation program. We, too, are amazed at God’s grace, strength, and powerful presence in our midst. 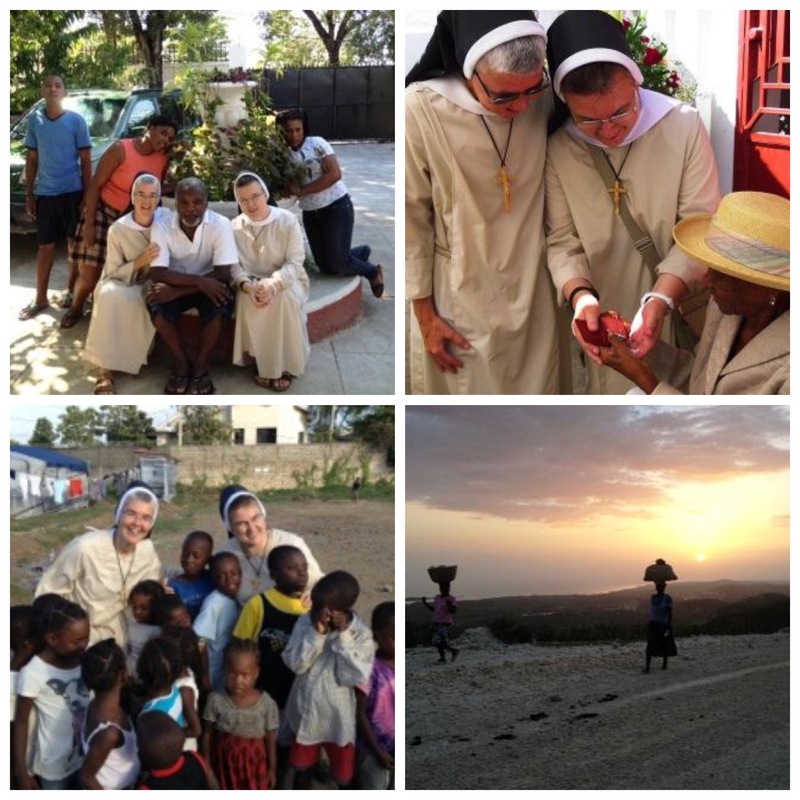 Thank you to all who accompany us with our Haitian brothers and sisters. On Friday, September 8, we had a lot of rain and some high winds. 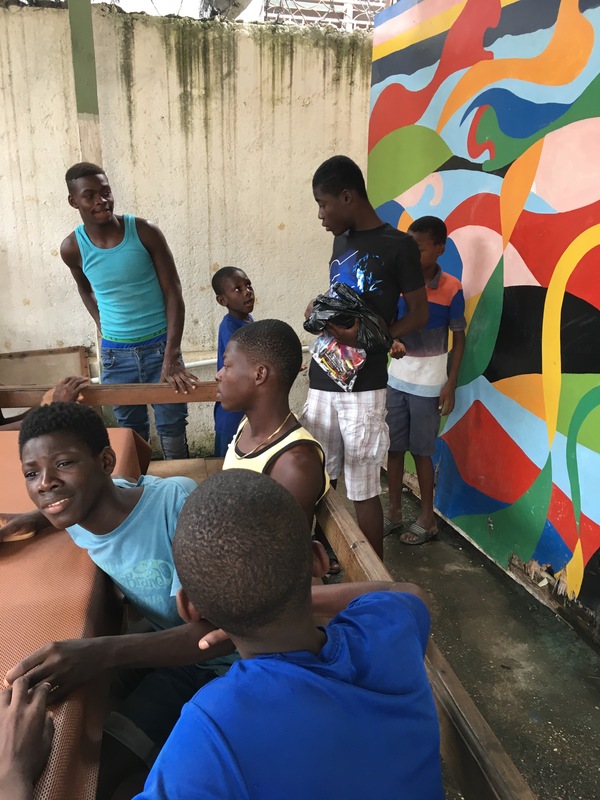 As a result, many of the kids did not come to the Mother Angela Kitchen. The day before, Fernando had told Sr. Marilyn that his birthday was on Friday. With all the rain and high winds, we did not think much about it. Sr. Inga was in the kitchen and saw Fernando looking sad. She asked him why, and he said he had no friends. No one had wished him a Happy Birthday. Well, we changed that when we came to him singing “Happy Birthday.” We gave him some chocolates for him and also some chocolates to share with everyone! 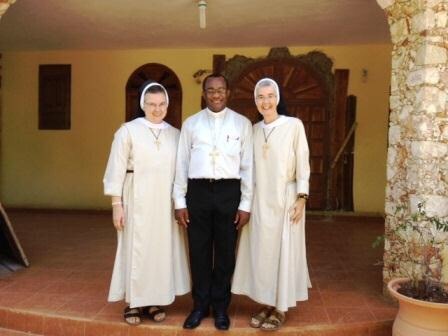 On Thursday, September 7, Sisters Danat and Anna Maria met with our Bishop Launay Saturne. A change of plans continues God’s mission! 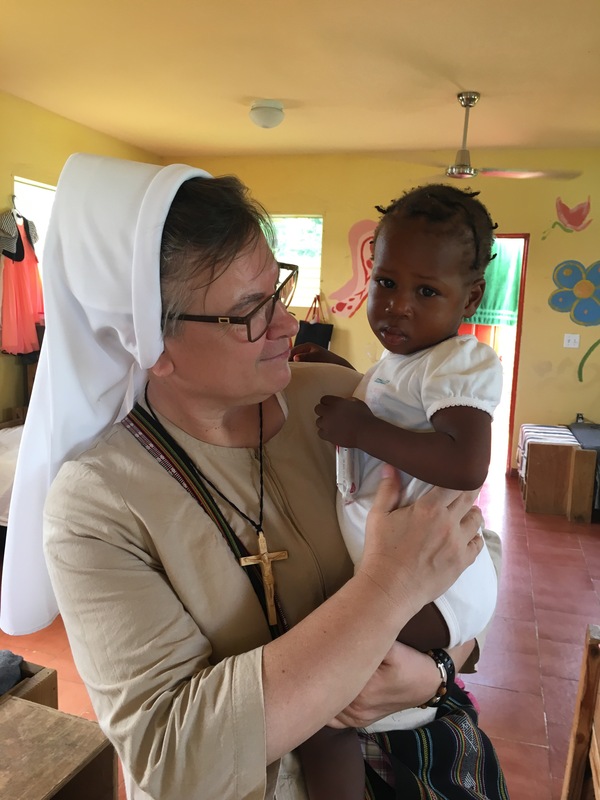 Last week, with the threat of Hurricane Irma and her devastation in the Caribbean, as well as the projected impact on Florida, Sisters Danat and Anna Maria needed to stay with us longer than had been planned. So, even though our visitation ended on Friday, we are blessed to have them share community and mission with us even longer. 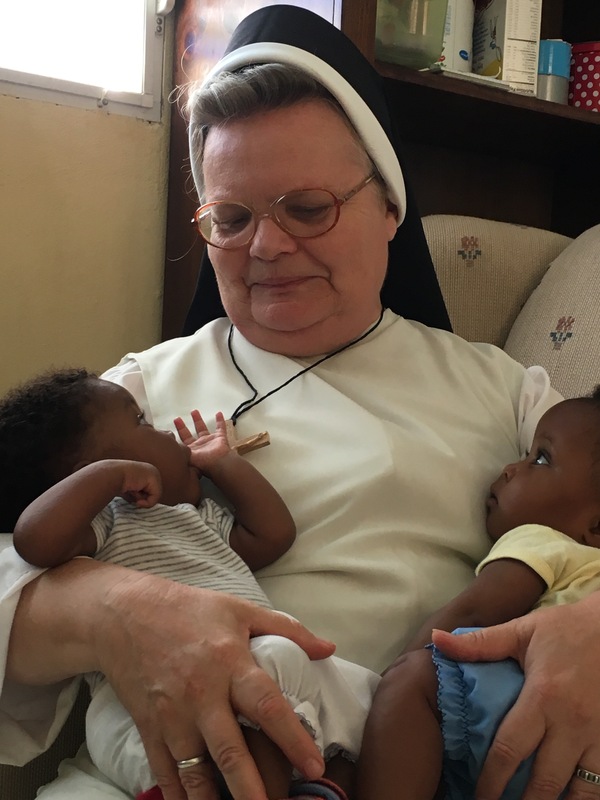 Sr. Anna Maria spent 30 years in Kenya and, during that time, she had worked with babies, so she has fallen right in with all the babies we have here in the mission. 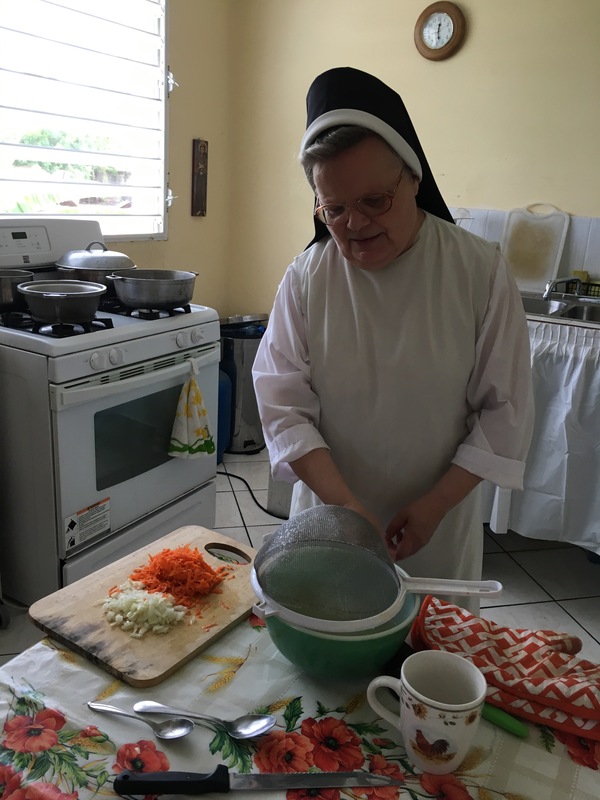 Sr. Anna Maria is also sharing her gourmet cooking skills with us. 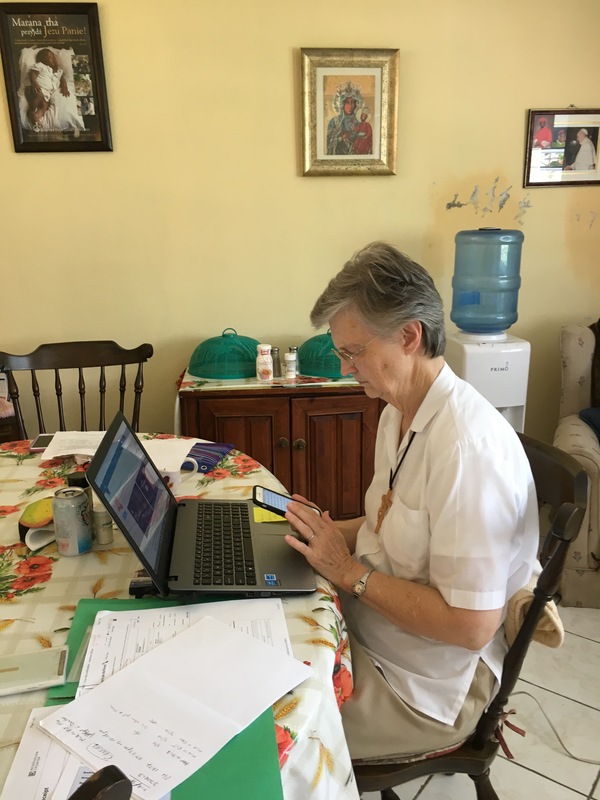 Sr. Danat continues her work for the Congregation. Thank God we have electricity and the internet is working!